Our latest post focuses on listing the Best WordPress Themes 2019 for your blogs. 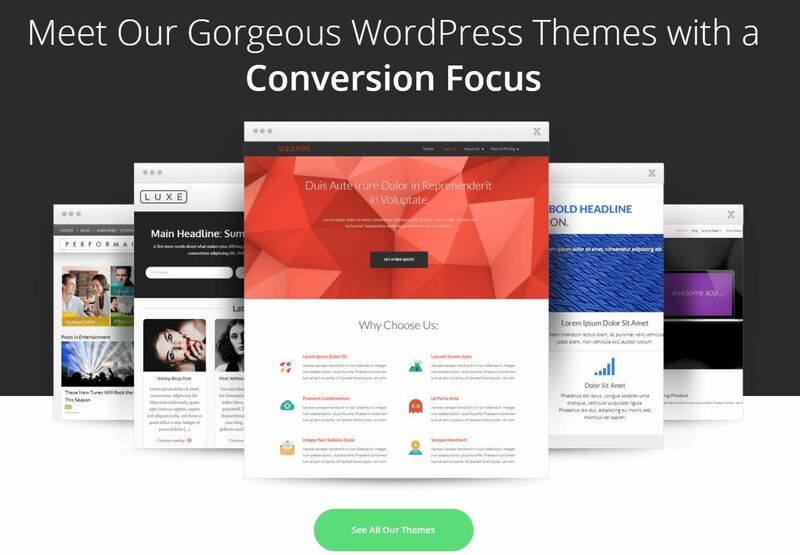 Until some time, you can find the free WordPress themes fascinating but when your site grows you need a premium WordPress theme for better conversion, ads click, and sales. There are nearly 100+ premium theme companies, and finding the best company out of it, is something critical. I'm writing this post and recommending the Five Best WordPress Themes providers after using 30+ Themes from 14 WordPress Theme companies for my various branded sites. I analyzed each of my sites with the following parameters. Though Thrive Themes was founded only in 2013, it was loved by industry veterans and easily attained the status as #1 conversion focused WordPress themes and if you check out our Thrive Themes Review or browse through any niche, you can find hundreds of sites uses Thrive Themes. In fact, most of our blogs including this blog Bloggingio use Focusblog Theme from Thrive Themes. The major benefit of Thrive Themes is conversion-focused design. With no external plugins, crisp design, fancy buttons, it gets easy to write and publish blog posts on the go. You can look into our Thrive Themes Reviews and I wrote why I can't live without Thrive products. The ​leader of premium WordPress themes is here. Founded by Brian Gardner in 2007, StudioPress was in the industry for almost a decade. Even if your 3rd-grade child visits Studiopress site, they will fall in love with their designs. 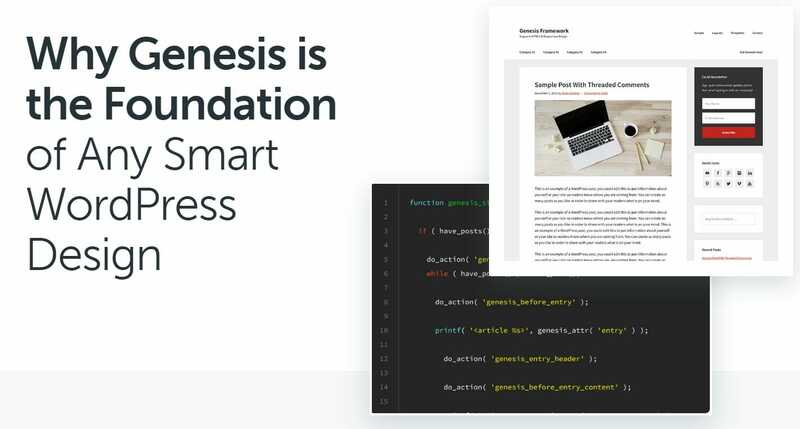 StudioPress themes are powered by industry leading Genesis framework where more than 500,000 WordPress sites are hosted till now. StudioPress Themes features clean search engine friendly codes, frequent updates, customizable layouts with no limits and finally a big developer friendly themes where you can create your own child themes with no hassles. Right now, I'm using StudioPress Genesis themes for building portfolio, news and company websites. I created my first WordPress site in 2012 and it was powered by MyThemeShop Clock WordPress theme. It was good old times, where StudioPress was a little bit pricey and Thrive Themes was not in production, MyThemeShop themes got my attention at first sight and immediately bought a theme for just $9 during Black Friday deal. I still can't believe, this tiny investment helped me to make more money since then. Claim MyThemeShop Coupon - Savings on single and membership themes. Talking about MyThemeShop, they are rich in features with numerous functions like shortcodes, rich snippets are coming inbuilt with a great control panel. I must admit, MyThemeShop is the #1 company with knowledgeable customer support. Even sometimes I got custom CSS codes for modification of themes with most companies don't do for free. You can check this awards post where I ranked top 10 themes ever designed by MyThemeShop. Elegant Themes was founded in 2008 and their growth is phenomenal. Elegant Themes was used by more than 430,000 customers and their recent launches like Divi builder, Monarch & Bloom plugin are just incredible when it comes to performance. If you're planning to buy Elegant Themes you can get access to Divi Discount and also get access to all other Elegant Themes Discount. Elegant Themes pricing is simpler and its the only company to offer lifetime license for all its themes and plugins and also for its future releases. Elegant themes are one of the best WordPress themes providers that offer, lifetime license which comes with lifetime update that means, all the existing products will get lifetime updates and also, you can get access to new releases. The #1 theme marketplace for WordPress themes. There are 38000+ WordPress products with pricing starts from $2. These are some of the products with the most number of sales. There are sellers who help you with theme support. The sales number just shows the potential of the themes. Inspired by their readable theme, I explored most of their themes and I thought they truly deserve a place in this list of best WordPress Themes post. Proteus Themes pixel perfect WordPress themes for most niches and they're the only company that allows trying any of their themes for free of cost. HappyThemes are the latest addition to our Best WordPress Themes 2019 collections. HappyThemes just understood the people's choice and designing themes based on it. Within a shorter time, I can see many sites started moving to Happy Themes thanks to inbuilt coupon code plugin, fast loading sites and the best customer support all comes with some lifetime access. If you're planning to join HappyThemes, don't forget to claim Happy Themes lifetime discount mentioned here. You can also check the Best Drag and Drop WordPress Theme Builders where you can design 404 page, landing pages and even blog page design. There are still a lot of theme providers with excellent themes and support. However, you can get most of the themes for e-commerce sites, blog, magazine themes, app or business themes from the above-mentioned companies. Do you think some other company has the potential to be included in the list "Best WordPress Themes 2019"? Do let me know in comments. If you ask me what wordpress theme provider i would recommend to get a professional looking blog for wordpress, i recommend you guys choose mythemeshop i already check their themes it is SO beautiful. By the way great post for discovering news themes. oh Wow nice collection of theme’s. I really like, My-blog and Cheer-up. i apply this to my future work..Thanks for sharing this post……. Agree with Paul, Mythemeshop is great. Themeforst is great as well. Thrive Themes are the best for me..however I want to try other themes also..
Yep, both are good on their own terms. However, for affiliate niches, I think Thrive Themes is still the best one. 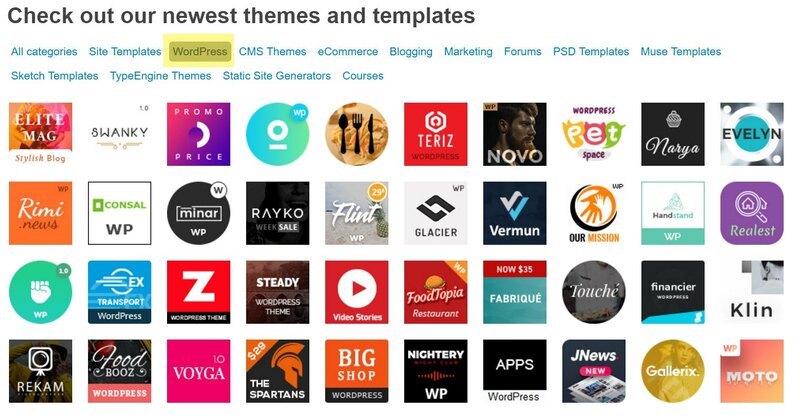 MythemeShop is also the right place to buy ultra-modern WordPRess themes, The reviews of their items are decent, and besides that, they provide such informative tutorials on WordPress that why I love to visit their site. I love to read this post, Thank you so much for sharing. nice info, Thank you for sharing this post. Enjoyed reading the article above, really explains everything in detail, the article is very interesting and effective.